The BBC’s popular iPlayer service is now available on BlackBerry smartphones, allowing owners to watch and listen to the corporations’ wealth of programming and radio shows broadcast over the last seven days. Currently, the BBC iPlayer app is only compatible with the BlackBerry Storm 2, BlackBerry Bold 9700 and BlackBerry Torch 9800 smartphones and is free to download. Working over 3G networks, the app runs optimally over a WiFi connection and of course is only available to UK customers. Android users are yet to see an official BBC iPlayer app, instead having to make use of third-party solutions or visiting the BBC’s Flash-enabled mobile site on an Android 2.2 smartphone. Codecs used in transcoding content means that Android users cannot enjoy the same streams as iPhone users. With the release of an official BlackBerry client, Android users will no doubt be a little aggrieved that they still do not have a dedicated app. We have contacted the BBC requesting information on the status of an iPlayer app for Android. 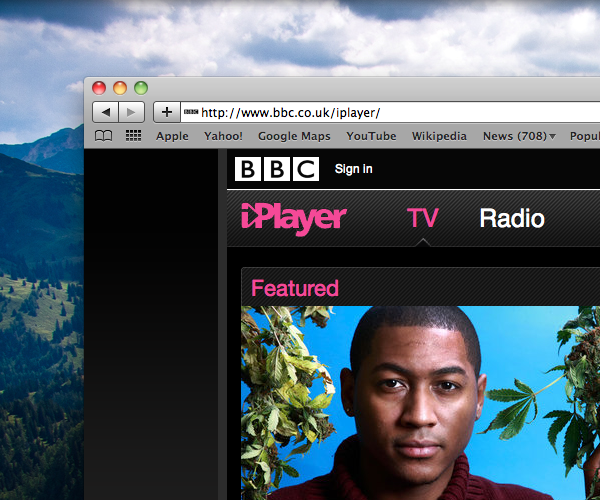 You can download the BBC iPlayer app from BlackBerry App World, here. Read next: Don't like the new Skype for Mac design? This should help.